You may not know her name, but if you are a fan of network and cable episodics, chances are you know her face. 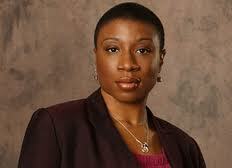 She’s been steadily working since she landed the recurring role of Annie Price on the Shield in 2004. This past television season she was probably all over you DVR delivering memorable performances on Law and Order SUV as a transsexual teacher, on Hawthorne as the hilarious and heartbreaking homeless woman Isabel, or True Blood as the con artist Miss Jeannette among others. This season she debuts as Lt Maureen Mason on the well reviewed and highly publicized Detroit 1-8-7 on ABC, where she’s found her home as a series regular. In between takes of the TNT show Hawthorne, we caught up with the bubbly actress over the summer to discuss the craft, the business, the hair, and the life in LaLa land.